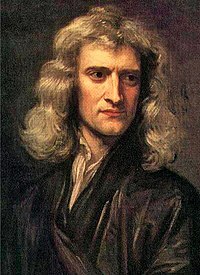 Isaac Newton (1643 - 1727), mathematicus, physicus et chemicus anglicus. Opticks: Or, A treatise of the Reflections, Refractions, Inflexions and Colours of Light. (Londinium, 1704). In lingua anglorum. Novissima mutatio die 7 Ianuarii 2014 hora 22:45 facta.